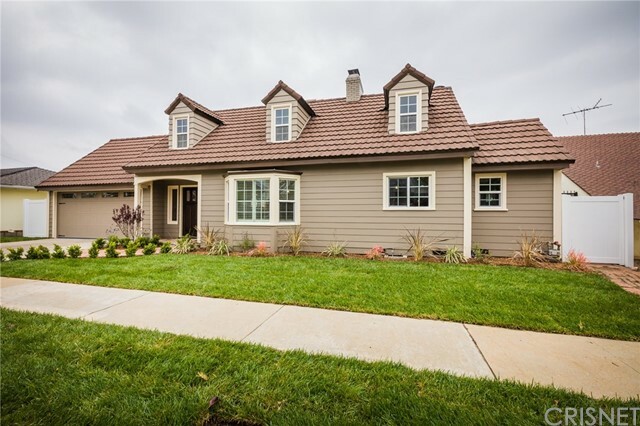 All View Park homes currently listed for sale in View Park as of 04/26/2019 are shown below. You can change the search criteria at any time by pressing the 'Change Search' button below. "Stunning views of downtown & the Hollywood sign from this beautifully remodeled, 4100+ sqft traditional with 5 bedrooms & 3.5 baths. This home has been upgraded & updated with high end designer finishes throughout. The gorgeous kitchen features a large island, quartz counters, built in Viking refrigerator, double ovens & farmhouse sink. The kitchen is open to the large family room w/built in bookshelves & cozy fireplace. The huge dining room is perfect for hosting large dinner parties & has the same hardwood floors as the rest of the downstairs. The living room boasts a fireplace, french doors out to the back patio & recessed lights. Just off the living room is a bedroom which is currently set up as a home office with beautiful built ins. Down the hall are 2 other spacious bedrooms with a stunning bathroom. Upstairs you will find 2 more bedrooms, each with their own bathroom including the huge master suite. The master is complete with a fireplace, massive master bath with frameless glass shower & separate tub as well as a large walk in closet. From the master bedroom & veranda off of the master you can take in the amazing views of the Hollywood sign as well as the downtown LA skyline. There is even a spiral staircase down to the beautifully landscaped backyard. Other upgrades include copper plumbing, dual pane windows, tankless water heater, upgraded electrical panel and more. You will not be disappointed with this truly stunning home that is centrally located." "Live like no one else in View Park stunning contemporary completely remodeled custom built home. Large bedrooms w/en suite baths for every family member or guest (including 2 main level bedroom suites); enter a striking living room w/high ceilings & white oak floors throughout; den/family room & office suite; gourmet kitchen w/Viking range & oven, walk-in pantry; waterfall white quartz dining island; formal dining area w/views of rolling hills & backyard access; yoga/studio/office bonus room also boasts views; upper levels offer a mega-master suite w/private loft & double-decker view windows, private 270 degree view balcony, design a dressing suite in your enormous walk in closet & relax in an elegant master bath w/soaking tub & marble shower enclave. The exclusive 3rd floor offers large balcony & private top level bedroom suites; laundry; 200 amps main panel; Peck water line supply; tank-less water heater; A/C & central heat systems; attached 2 car garage; security system & more"
"Seller is Motivated - Price improved dramatically - side by side lots (6,000 sq ft./ea) in View Park. Lot 1: architecturally intact 1929 Spanish home, 3,027 Sq ft; 5+3; 2018 heating & A/C; dual pane windows; some copper re-piping/electrical upgrades; recessed lights & antique chandeliers; views, hardwood floors, Spanish tile, arched windows & doorways; courtyard & porch, high ceilings; formal foyer; step down living room w/fireplace & Spanish tile hearth; eat-in kitchen w/circular banquette, stainless steel built-ins; formal dining room; ground floor guest bedroom & study; full basement w/exterior access also; spiral staircase leading to two spacious guest rooms w/views; a guest room perfect for an office/nursery; master bedroom w/dressing area, private balcony & view. Lot 2: a gorgeous playful entertainer's backyard w/a classic pool built in the position to maximize use of the lot for a home; includes raised garden beds professionally farmed with irrigation. APN numbers"
"VINTAGE VIEW PARK, Welcome to the house that has everything, A double sided fireplace giving ambiance to both the family room and formal dining room, upon entry there is a grand piano room for the songwriter in the family. The spacious layout flows from the open concept kitchen to breakfast area and large wet bar, a built-in ice cream maker for entertaining guest. Features include, a sunken family room, chefs kitchen with 2 built-in double ovens, built-in stove top with griddle and separate built-in Bar B Q all original O'Keeffe & Merritt. A custom Island / bar for family fun. The huge square footage allows plenty of room for growth, a great flowing floor plan. Rest your eyes in a Huge on-suite master bedroom with the loveliest bathroom vintage View Park has seen. This home is in impeccable condition, well maintained to the highest standard. 2 water heaters, 2 furnaces, plus 3 car garage. Close to new stadium, beaches, Culver city, Google tech industry, Playa Vista." "Ideally located in highly coveted Historic View Park, this gorgeous, completely remodeled home offers three bedrooms, four baths and just under 3,000 Square feet of exquisite living space. New hardwood flooring, ambient recessed lighting, and beautiful custom features add charm and allure. Enjoy a stylish chef's kitchen complete with new stainless steel appliances, stunning quartz countertops, and fantastic 8-foot center island/breakfast bar. Wonderful spaces for entertaining and relaxing include a formal dining room, plus a sunken family and living room with custom, dual sided fireplace. Hallway bath boasts a large walk-in shower and jacuzzi tub! Rest peacefully in the luxurious master with ensuite and walk-in closet. The spacious bonus attic space adds approx 1,200 sq. ft. and is perfect to accommodate additional bedrooms, a playroom or office. Outside, find a lovely front porch, lush landscaping and a spacious backyard! Two car attached garage, new HVAC." "Exquisite home tastefully remodeled in View Park. Ground floor has family room with inviting fireplace, two bedrooms, and 3/4 bath. Second level has formal living room with fireplace, open dining room, beautiful galley kitchen with spacious sunlit breakfast nook. Master suite has two mirrored closets, a luxurious bath with soaking tub and separate standing shower, and a balcony overlooking the sparkling pool. Detached bonus room with 3/4 bath in back could easily be used as office, game room or guest quarters. Lots of room for entertaining loved ones. Located on a tree-lined street with plenty to see and do nearby. Close to shopping, dining, and just about 5 miles from USC." "I'm Gorgeous Inside! Elegant View Park Luxury Home. The Perfect Place for anyone looking for a Relaxing, well maintained, move in-condition home w pool views from all around the interior . Warm and inviting Open living and dining rm w Fireplace, Comfortable Eat-In Family Room facing a pristine swimming pool. Light and bright kitchen is updated a with newer cabinets and white granite counter tops and built-In appliances. En-Suite Master Bedroom includes a pool view, dual sinks in bath separate tub and glass enclosed shower, 2 additional spacious bedrooms, one w a cozy built-in brick fireplace. New dual pane windows just installed, shutters throughout, forced air and heat and NEST for temperature Control, Surround Sound Speaker System, Security Video Cameras, outdoor gym area,view from the top of the hill land more! Great city living, centrally located to downtown LA, the New Inglewood Stadium, Beaches and Surrounding areas. Sale Subject to Seller Obtaining Accepted Offer on Repla"
"Spectacular View Park Corner Home that Is Perfect for Any Happy Family! This traditional home is an absolute Gem that sits on a 7,943 FT2 lot with a 2,166 FT2 of Living Space Dwelling, holds a Great Curb Appeal. This Exquisite Home boasts 2 Bedrooms and 2 Bathrooms and very spacious floor planning, large living room with chimney that leads to backyard deck, provides a very large and comfortable Family room with chimney which may be turned into another bedroom. Kitchen features original Wood Cabinets and a separate Breakfast Eating Area, Gas Range and Stove. Master Bedroom and bathroom offer excellent closet space. Property is listed below estimated price value as it needs TLC. Property is only 3.8 Miles away from New Los Angeles Stadium. This Is an Absolute Must See!" "Light & bright w/ classic features & tremendous curb appeal, here is the traditional you've been waiting for in highly coveted View Park. As you walk through the front door, you are welcomed by a den w/ a fireplace & an en-suite bedroom. Ascend the stately wooden stairs & you're greeted by the 2nd floor foyer & a sun-drenched living room w/fireplace & original hardwood floors. The kitchen offers ample cabinetry, granite counters & a breakfast nook w/ a stunning stained-glass backdrop. Completing the interior, is a master suite, 2 add'l bedrooms, a bathroom & sunroom that opens to the backyard. The backyard offers plenty of options for relaxation, play & entertainment. This traditional gem is truly a unique opportunity w/ limitless potential for a classic restoration. Mills Act Eligible. 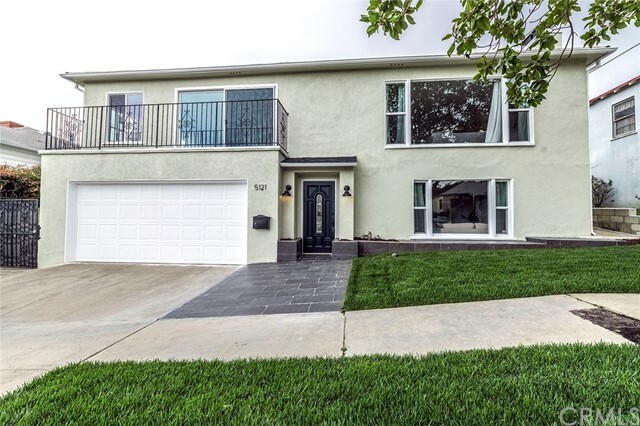 Located in one of LA's Hottest Neighborhoods, steps away from Monteith, Reuben Ingold & Hahn State Parks & minutes from the Expo Line, Crenshaw/LAX Line & the soon-to-be redeveloped Baldwin Hills Mall." "Spectacular View Park home that is perfect for a large family! This traditional home is an absolute gem that sits on an 5,500 sq. ft lot with great curb appeal. This exquisite home boasts of 4 bedrooms and 3 bathrooms. Very spacious throughout. Gas fireplace with a spacious living room. Separate formal dining room. Large living room with custom wood window treatments and large windows for natural light. All wood floors throughout living spaces. Kitchen has been refreshed with lots of cabinet space with a separate breakfast eating area. Large bathroom recently remodeled features separate shower featuring a sunken tub, spacious counter with vanity and ample cabinet space. A gardeners dream backyard includes plush grass, mature trees, fruit tress, vegetation and a covered patio. 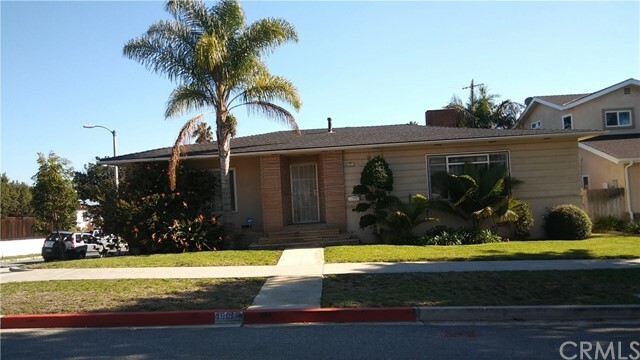 This is an Absolute Must See in a fantastic location in one of LA's Hottest Neighborhoods just blocks away from Monteith Park, Reuben Ingold Walking Park, Kenneth Hahn State Park & minute for Expo and BHCP"
"Let's start with a Standing Ovation on this Location! Located in the Desirable and Historical District of View Park, just minutes from the new Crenshaw/LAX Metro-Line, the Inglewood Forum, new NFL Stadium, Stocker Corridor Trail, the 405 and the 10 fwy. As you approach this home, you'll be in awe over the custom Shutters that adds an amazing touch to the tile floor entry and original wood flooring. The newly renovated kitchen and family room are light and bright with Crown Molding, Luxurious Vinyl Flooring, plenty of Cabinets, Quartz Countertops, built-in shelving, extra closet space and the original vintage ironing board insert. If you're looking for back-yard privacy, this home has it! The back yard is utilized on three levels and has an in-ground hot-tub (repair needed), a good sized storage shed, several species of trees, and a small garden area for your enjoyment." "VIEW PARK ESTATES TOWN HOME with City views. 3-Level Townhome in a gated community with 2 Bedrooms, Loft, 2.5 Bathrooms, private patio off the bedrooms and two balconies off the main floor and 2-covered parking spaces. Master Bedroom w/ensuite bathroom located on lower Level and 3rd Level with Loft. Living room w/fireplace, Wet Bar, Dining room, Kitchen. Complex includes guest parking, pool, spa tub, and gym. Near Kenneth Hahn Park, walking trails, shopping, movie theaters, restaurants, new Kaiser Medical Center, Metro Bus to LAX, future Crenshaw/LAX Metro Line. Conveniently located just miles to LAX, Culver City, Playa Vista, Santa Monica, The Forum, and DTLA."